In cartoons, they call humanized animal characters, or funny animals, or anthropormorphic animals furries. What is the slang or technical term for humanized inanimate objects? [+4] - LionTamerX - 04/30/2011Dildo. Yes-I am an artist. You DON'T have to tell me that. I am asking what term applies to anthropomorphic inanimate objects. I grew up with thr Raisins- I know who they are. The California Raisins were a fictional rhythm and blues musical group as well as advertising and merchandising characters composed of anthropomorphized raisins based on black caricatures. Instead of black the raisins were varying shades of purple. Lead vocals were sung by musician Buddy Miles. 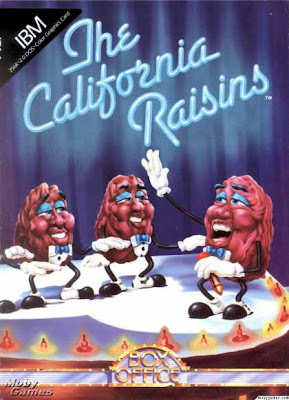 The California Raisins concept experienced high popularity in the mid-to-late 1980s. That still doesn't answer my question. Is there a technical or slang term ARTISTS use to describe anthroporphic inanimate objects? You keep on saying that word. . . I do not think it means what you think it means. » What's the technical or slang term for humanized inanimate objects?